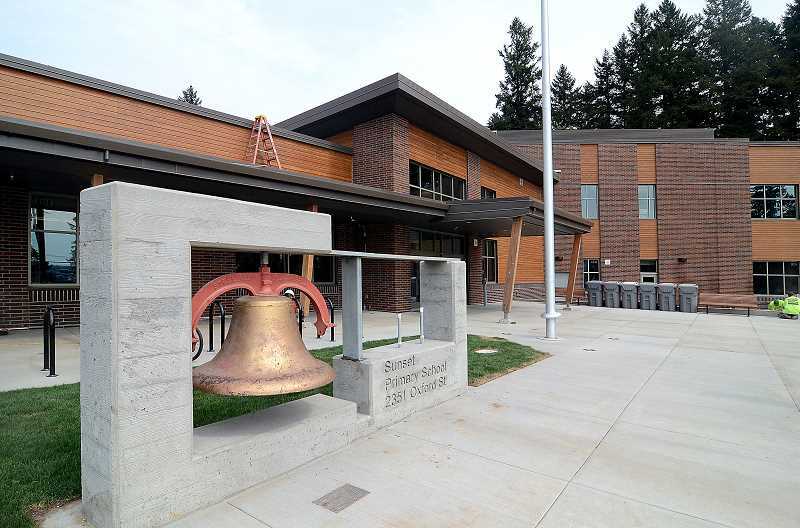 The West Linn City Council's discussion on general obligation (GO) bond projects was officially scheduled as one of the last items on the March 4 special meeting agenda. So late-arriving onlookers may have been confused to see a debate over contract awards — including one for a bond project at the library — taking place before the council even approved its agenda for the evening. Ultimately, the council voted 3-2 to remove the consideration of contracts — one for the library and the other for a Public Works water main replacement project — from the agenda to allow for further review of the exact language. Last May, voters approved the renewal of an existing bond levy of 42 cents per $1,000 in assessed property value that had been in place since 1998. It was estimated to generate about $19 million over the course of 21 years, which the City said would be used to fund an array of capital improvement projects related to transportation infrastructure, parks and city facilities. City Councilor Rich Sakelik, who made the motion to remove the contract awards from the agenda, said he did not feel comfortable voting without having the exact contract language to review. Instead, staff provided a memo with a general description of the projects and a rundown of the bids received for the work. "I'm not one to approve contracts where I don't see what's in the contract," Sakelik said. "It's like rubber stamping. Would anyone here sign a contract without seeing it? I would hope not." While emphasizing that he was open to the council's wishes, Public Works Director Lance Calvert noted that the time to review the scope of projects generally is before they go out to bid. City Manager Eileen Stein, meanwhile, expressed concern about delaying the work. "We're trying to move these bond projects forward as quick as possible and respond to the expectation that bond proceeds will be spent in a certain period of time," Stein said, adding that a contractor walkthrough was scheduled for this week at the library. "So you're already assuming we're going to vote yes?" said City Council President Teri Cummings. In voting against Sakelik's motion, Mayor Russ Axelrod and Councilor Jules Walters said they were comfortable with the way staff presented the contracts and concerned about the delay. The council returned to the bond discussion later in the evening, the goal being for staff to provide a big picture update — the first since new councilors Walters and Bill Relyea were sworn in this past January — and receive direction on how to move forward on a number of projects. Community Development Director John Williams said parks projects continued to move forward after the council approved a project list and tentative schedule last September. Specifically, according to Parks and Recreation Director Ken Worcester, the City currently is moving forward with revamps at Sahallie Illahee Park after receiving a grant that will cover much of the cost of a new playground. The parks department also is preparing to put a design for the new Sunset Park out to bid after a considerable amount of coordination with the neighborhood. The design includes a new playground, two small shelters that will replace the current one and be closer to the road, a zipline and a water play area. "They're hoping it will be open for their neighborhood picnic this summer," Worcester said. While the council expressed general approval to move forward on a number of city facilities projects totaling around $1.5 million last year — including improvements at City Hall, the library, the police station and Sunset Fire Hall — Williams said the council still needed to address the $1 million left over for nongovernmental buildings like Robinwood Station. "This council hasn't talked about any of those yet," he said. The bulk of the bond discussion surrounded transportation projects, and the City's current priorities are moving forward with design work for traffic and pedestrian safety improvements along the Main Street corridor in the Historic Willamette area and at the intersection of 10th Street and Salamo Road (which is managed by the Oregon Department of Transportation). ODOT also manages Highway 43, and Calvert said work on that road has been slower due to delays on ODOT's end. "Design work is going on (for work in the Willamette area)," Williams said. "Lance (Calvert) has been asking for time on neighborhood association agendas, so he will be the conduit between design engineers and the community. We would love to know tonight, or after your goal setting (March 5), what would you like your role to be?" The council opted to schedule open houses in the coming months so the public can provide feedback on the design work. Calvert said April would be a good target month for the first open house.